A few months ago Maxwell and I were sent a Butterfly World Kit. 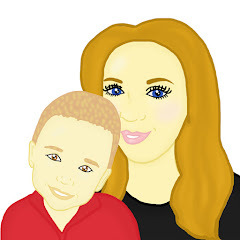 Maxwell and I had wanted a kit for several months however we had put it off due to having a busy end of year at preschool. Maxwell and I were super excited when Interplay sent us a kit. This was followed by a delivery of caterpillars. Maxwell dashed to open the Interplay Butterfly World kit and we were both very happy with the contents. The box included a pop up net, a set of instructions, a paint brush, elastic bands and a small plastic pot and lid. I felt this was everything that we needed to watch our caterpillars grow and become beautiful butterflies. To start off with, we read the instruction booklet. We found that the book went into good detail about what we needed to do to set up our butterfly world. I found it particularly helpful that pictures accompanied the text from the booklet. Inside the booklet we were also able to find helpful information about how we should care for our caterpillars and if we wanted to go and find our own caterpillars in the wild, the best way to care for them. Over a period of 3 weeks, Maxwell and I watched our caterpillars grow. The whole cycle was amazing to watch and something Maxwell loved looking at every day. It was great to talk to him about the cycle of the caterpillars and how they were changing daily. 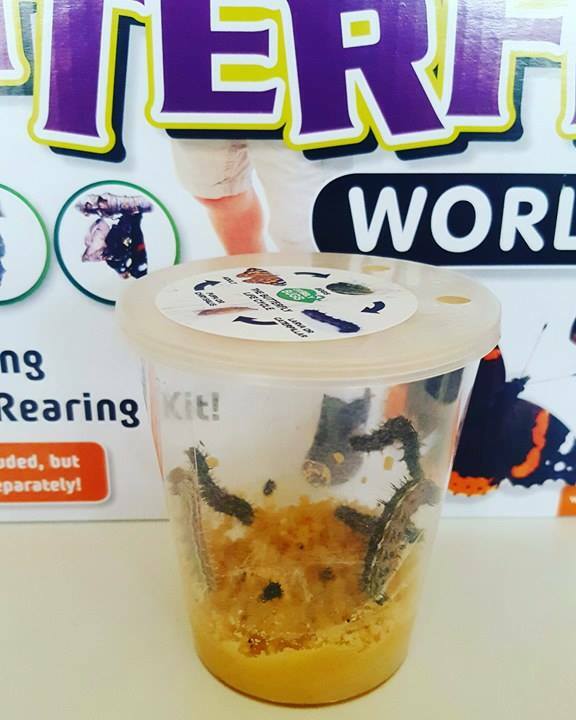 Our caterpillars grew and grew and finally they spun themselves into a silky cocoon. They they then started to hang from the top of our pot and eventually turned into chrysalis however that was the end to our butterfly journey. 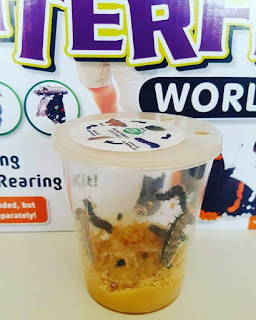 After leaving the pot for several weeks, none of the butterflies emerged which although was sad, we were still happy that we got to watch most of the process of them turning from caterpillars into chrysalis. Unfortunately one of our caterpillars never made it to a chrysalis and 2 of our chrysalis dropped. 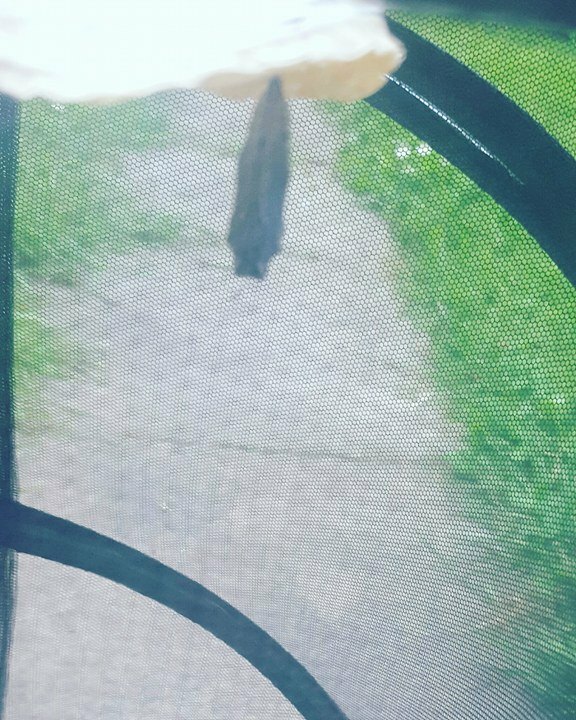 The further 2 chrysalis never formed into butterflies and the only thing that I can think which caused this was the heat. Although a little disappointed about the butterflies, we felt that the Butterfly World kit was amazing. 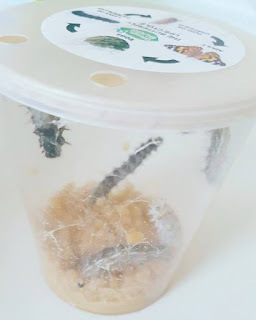 The kit had everything we needed had our butterflies formed and although our chrysalis never formed, they did spend some time in the butterfly net which was built well, made from good quality material and was easy for Maxwell to use. Maxwell and I are going to reuse this kit next year and this time, we hope to capture our own caterpillars and watch them grow. We live in the countryside and we have wild brambles at the bottom of our garden so there is a lot of hope that we will find some caterpillars to watch grow into beautiful butterflies. 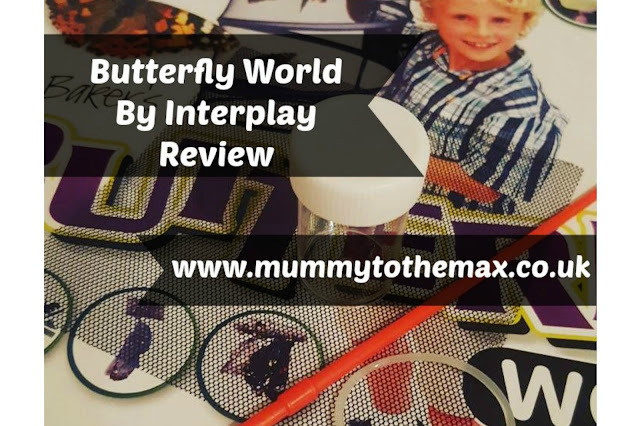 If you are interested in purchasing your own Butterfly World Kit you are able to purchase it from Interplay for £12.99. I believe this is an amazing price for something which can be used over and over again. Please note that caterpillars are not included with the kit and they can only be purchased from a separate supplier. *We received the above products mentioned for the purpose of this post. All thoughts and opinions are of our own.